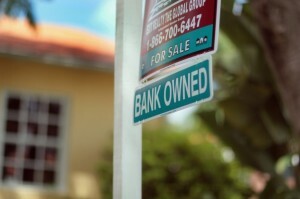 As many as 10 million families lost their homes to foreclosure during the housing crisis. As a result, nearly all of them had to move. They didn’t make for the kind of dramatic cross-country moves that have characterized other great population shifts in U.S. history — west in search of open land, or north in hopes of factory work. For the most part, nearly all of these foreclosed families stayed within the same metropolitan area. But the sheer scale of all of their short-distance reshuffling has had a real and largely hidden impact in cities: It reversed much of the recent progress the made on racial integration. – According to new research, migration patterns set in motion by the foreclosure crisis slowed declines in segregation across metropolitan America between blacks and whites by 19 percent and between whites and Hispanics by 50 percent. – Minorities who lost their homes moved to more distressed neighborhoods, while white homeowners who could leave appear to have been the first to pull out of places hit by foreclosure. – Foreclosure rates during the housing bust were highest in the most integrated neighborhoods. So not only were we becoming more segregated — but the least segregated places were heavily undermined by foreclosure at the same time. The scale of this entire foreclosure migration is deceptively large. The 10 million households that lost their homes dwarf the number that left the Great Plains during the Dust Bowl (that was about 2.5 million people). In fact, it is larger than the 6 million blacks who moved north during the Great Migration — a movement that spanned decades. That number does not even include all the households that never went through foreclosure but moved anyway because many of their neighbors did.